When people hear that we were on House Hunters International, they always have a bunch of questions. The most common question is how did we get on the show. Followed by questions about the filming. After watching the episode of House Hunters International on HGTV, we realize a lot of the story was edited out. We decided to write a 2 part article that answered all the questions we got, along with behind the scenes commentary on how it all works. Our goal is to tell the whole story from the selection process to the filming and what they omitted. It was in July, the year we decided that we were moving to Cuenca when we were watching an episode of House Hunters International. 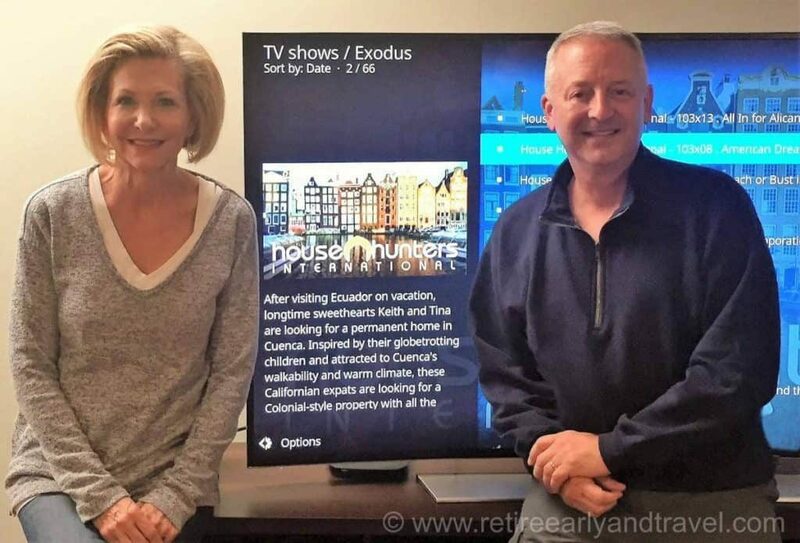 A blurb ran at the end of the show saying, “if you are planning to move abroad and would like to be on House Hunters International, please email us at…” Keith said should we do it and I said yes, our friends and family would love it. Months went by, and we did not hear anything back. Since we knew we were permanently moving to Cuenca on January 20th, we traveled to Cuenca again in November to find a place to rent. 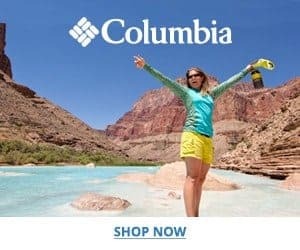 We wanted to know where we would be living before we left the states so we could buy things we needed and have them included in our shipping container. Neither one of us is “fly by the seat of your pants” kind of people. 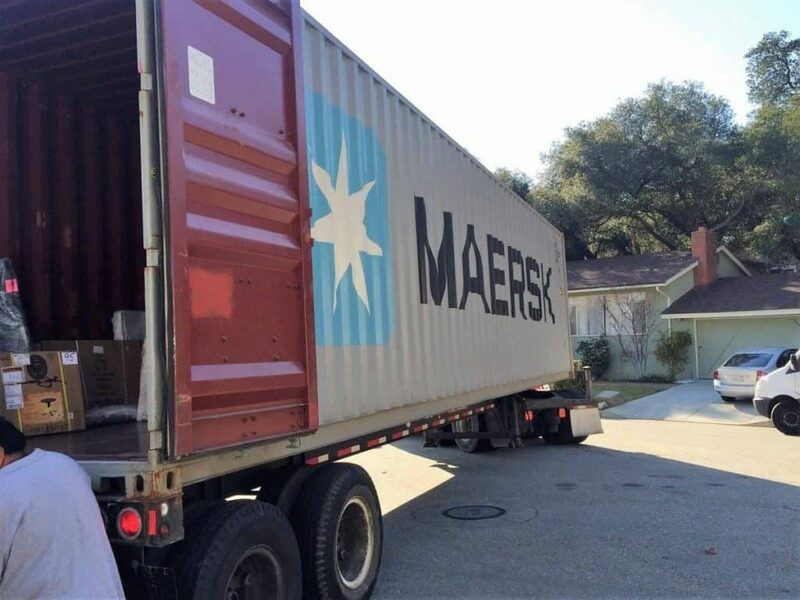 The end of December came, we packed and shipped our container. We left California on January 7th and drove to Florida where we had previously lived. There, we said goodbye to as many family and friends as possible, sold Keith’s car and rented a car to drive to the Miami airport. We flew from Miami because we could fly directly to Ecuador nonstop in just 4 hours. Our dogs Max and Molly were traveling with us, and the short direct flight minimized the stress on them. 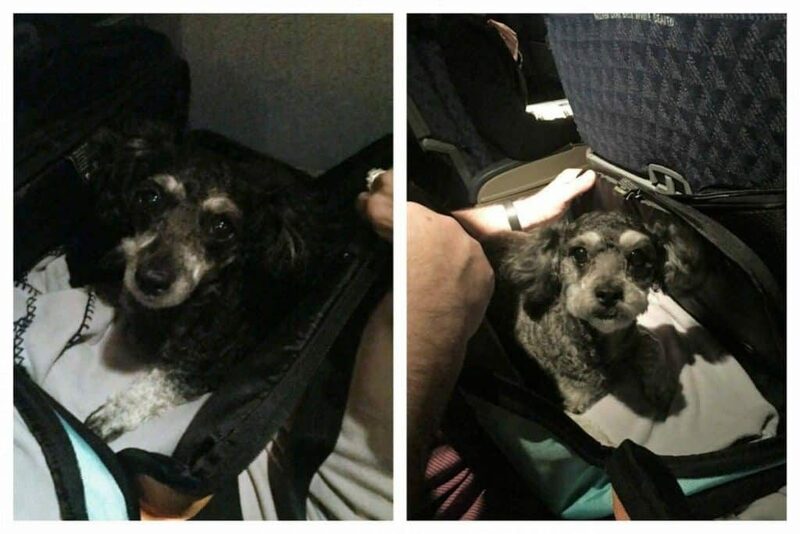 Because they are small dogs, they were able to go in a carrier under the seat in front of us. During the flight, they were able to sit on our laps. Once we were checked in, and while we were waiting for our flight, we checked our email. Low and behold there was an email from HHI. They said they were interested! They asked us to fill out a lengthy application with many essay questions. We submitted it, and a couple of weeks later they emailed us that they were interested enough to schedule a Skype interview. After the interview, they asked us to make an 8 to 10-minute video that would show our personalities and a quick walk-thru of our apartment. We submitted our video and had one more interview with the producer. The producer felt our story was a good one, so she was going to put together a “package” on us and pitch it to the HGTV network. HHI is a different company than HGTV, so HHI has to present the shows to the HGTV decisions makers who have the final say if it’s a go or not. 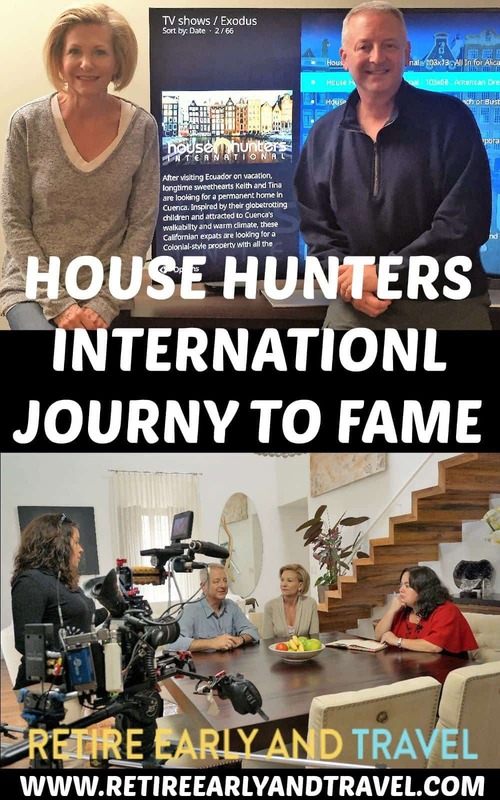 All of this was a long process, but for House Hunters International, they get one chance to make the pitch. They don’t want the episode rejected. Obviously, we got the green light. They scheduled five days with us where we had to be available 12 hours a day for filming. The crew that arrived consisted of a Director, cameraman, sound man and a fixer (local area person) who would all meet up with us in Cuenca. All of these people are independent contractors, so HHI uses a bunch of different people for their shows. HHI wasn’t looking for just people that moved abroad; they wanted a story. 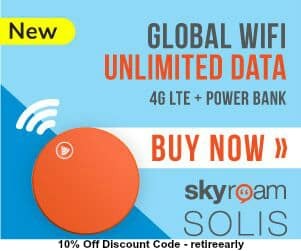 Very few people leave everything that they know and everything that is familiar to them to retire early and live in a developing country. Especially one where they don’t speak the language without having an interesting story. Our story goes way back in time. 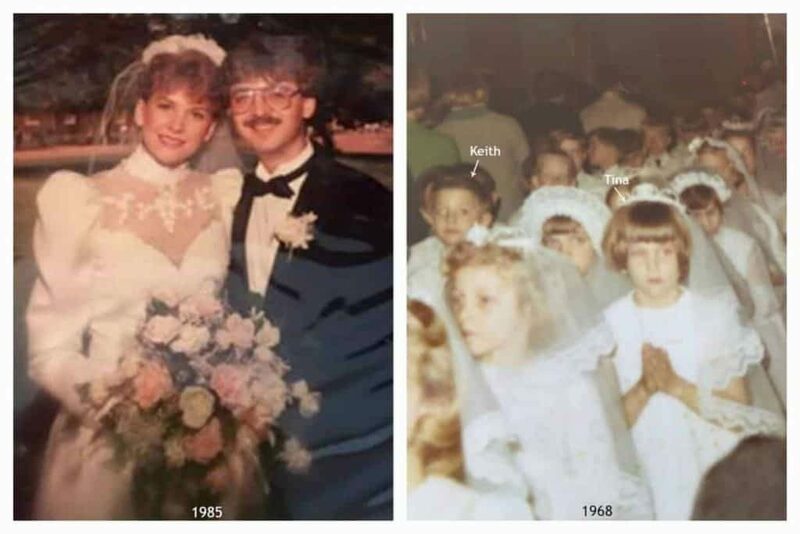 Even though Keith and I did not start dating until the summer after graduating high school, we met in second grade although if it were not for pictures, we would never have known. Keith and I had been dating a year; we were looking through one of his mom’s photo albums when I blurted out, “how did you get my First Communion picture”? “What, that is me,” Keith said, and I replied, “well, that is me” and pointed to myself in the picture. I told him I could prove it; my mom has the same picture. We took the photo album and drove to my mom’s house. There, we found my mom’s album, and the pictures were identical. It was easy to deduced that our moms must have been standing side by side at church that day taking pictures of us. My mom, Catholic but superstitious said, this means something, Keith in a suit and tie and you in white gown and veil and now you are dating? We dated more than five years before marrying. What we discovered was that we were both plagued with wanderlust. We both had dreams of seeing the world. We married, had careers, had two children but never forgot about our dream. When our kids were both old enough to travel we bought an RV and made it our mission to see as much of the United States as possible. 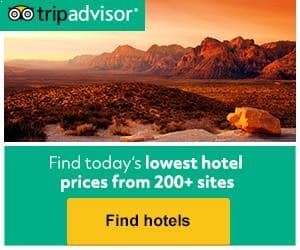 Not the tourist attractions that most parents take their kids to but natural attractions that showcase the diversity that makes the US so great. We also took our children on a three-week journey to Germany to visit with friends but also to trace our family history back to the 1500’s. Little did we know that we were shaping two world travelers. Our son was the first to leave the US. He moved to India, initially to help the people reforest land that had been deforested by man. The work in India was volunteer work. While there he traveled from the southern tip of India through all of India to Nepal and back to South India. 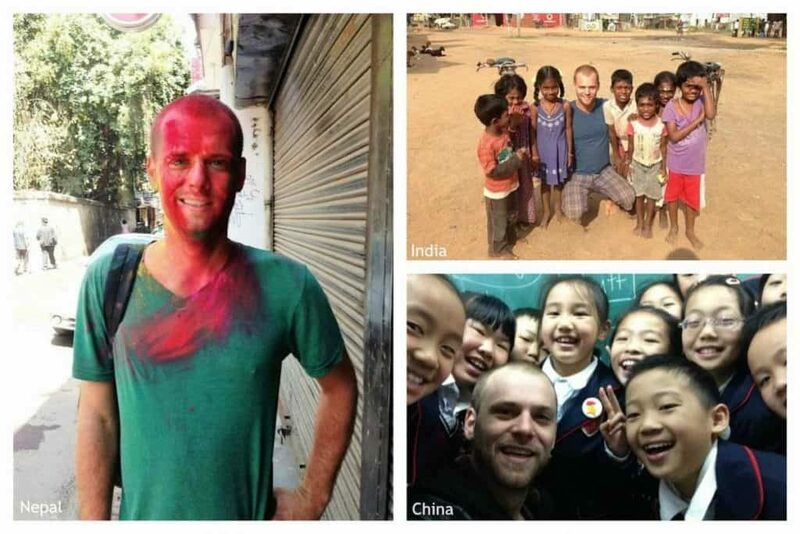 After about six months he decided he wanted to make money, so he flew to Hong Kong, obtained a Chinese visa and took a train 40+ hours to the city of Chengdu, China to teach English. He remained in China teaching English for more than four years, with a three-month stint in Thailand where he also taught English. Our daughter graduated from college about two years later. Shortly before graduating she announced that she had saved a good chunk of money working part-time during college and was going to use her money to see the world. At the time her goal was to live in as many countries as she could in the next decade. 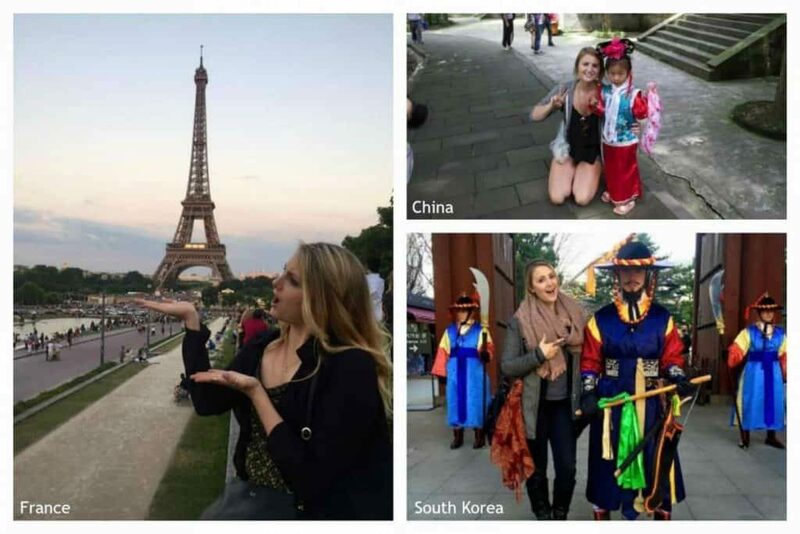 One month after graduation she too lived and worked in China. Only she did not stop there. Six months later she lived and worked in Barcelona Spain. Then she came back to the US for eight months to regroup and work and then she was off again for a teaching job in South Korea. She went on from Korea to live three months in France. 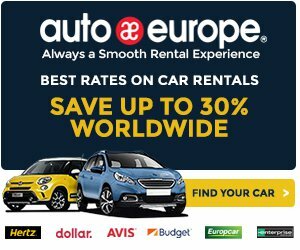 While there, traveled to Italy, Germany, the Netherlands, and Tunisia, Africa. One day in the middle of all of this, Keith and I said gosh it must be nice to be our kids. They are living the life we wanted. 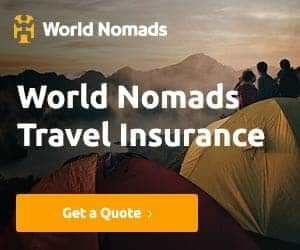 They are traveling the world and with no support from us. We always told our kids that things don’t just happen. If you want something, you have to make it happen. We did take our advice to an extent. When the kids were still small, we began saving. We stopped living off everything we made. We did not forget about our dream, we did travel, but at the rate, it was unlikely we would come close to seeing the world. With both of our kids gone, we missed them terribly, but we were probably a bit jealous at the same time. This story was a big draw for House Hunters International. About a year earlier, we sat at home envying our kids when we decide to go to Antigua, Guatemala. It was a last minute vacation. It was a short nonstop flight from Los Angeles. We had no time to do any planning for this trip. The first time we discussed what we should do in Guatemala, we were sitting in the living room of the condo we had rented. 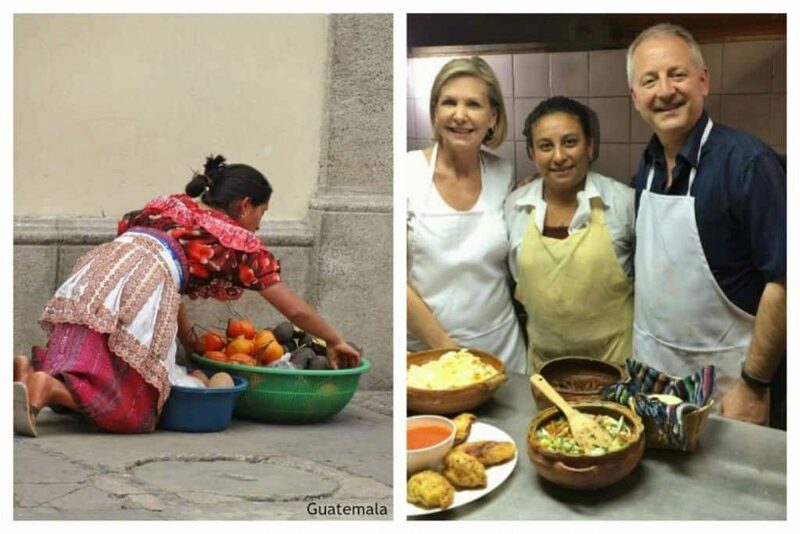 A Google search on Antigua came back with an article that said that Antigua, Guatemala was the tenth best place in the world to retire. Throughout that week in Antigua, we talked about retiring abroad and met some expats. We return to LA and were obsessed with researching the first thru ninth places to retire. We made a list of what we would want in a city that we would move too. Our list included low humidity and a moderate temperature. It had to be a walkable city since we did not want to own a car. The city had to be large enough to offer things to do. We preferred that the language is Spanish as we knew a little. We also wanted to have at least a small expat community. All of our research pointed to Cuenca, Ecuador. 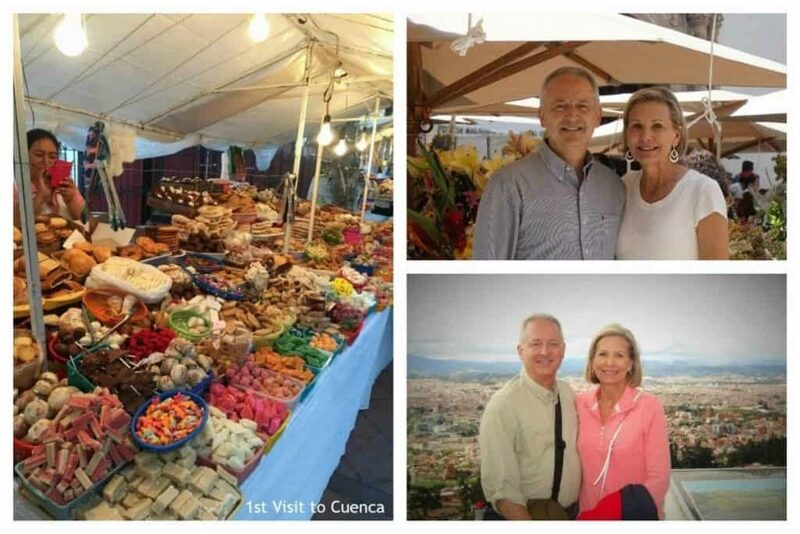 We decided to visit Cuenca to see if it truly was all that we found on the Internet. After spending 12 days in Cuenca, we knew that it met our expectations. Loving adventure, we made the leap for Keith to quit his job and me to sell my naturopathic practice. Again House Hunters International loved and were amazed at how quick this all came to fruition. This is not the end of the story. Read the post that describes the behind the scenes process.